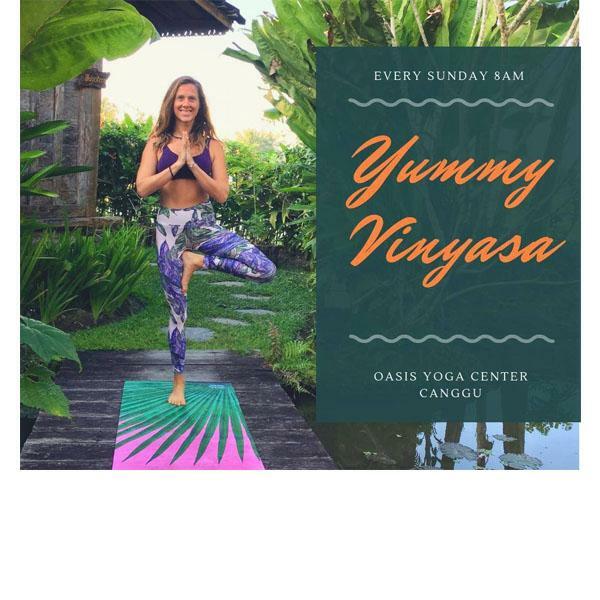 Join Ella every Sunday Morning at 8am and start the day with some Yummy Vinyasa. Receive juicy adjustments and plenty personalised attention in out peaceful Yoga Shala surrounding gardens and a pool. Enjoy a Yoga Flow connecting breath and movement, and finishing with aromatherapy relaxation.